Dumneazu: Look Upon My Weird Trumpet Fiddle, Oh Ye Mighty, and Despair! Look Upon My Weird Trumpet Fiddle, Oh Ye Mighty, and Despair! So last week I was tooling around Northern Romania with Mitia Kramtsov, Mitia is the fiddler and lead singer for the Russian klezmer band Dobranotch, based in Sankt Petersburg, and we met some years ago while we were both teaching fiddle at Klez Kanada, and we clicked. Ahh.. we are the scratchy fiddlers... the neo-geezers... the ones who failed the conservatory entrance exam and sit in the back smoking reefer with the tuba players... And this all happened during a historic event involving our two countries. Just as Vladimir and Donnie were trading secrets in Helsinki, Mitia and I traded fiddle tunes in a farmhouse in Ieud. And for ten days we did not talk single word about any politics at all. We were Jewish fiddlers on a mission: to find fiddlers in Maramures. Old style fiddlers. Geezers, really. Maramures fiddling went through a change of style in the 1960s, which outshadowed the older fiddle and viola-kontra non commercial style. The old repertoire is richer and and the modern guitar-fiddle-drum ensembles of today rarely include any Carpathian Jewish tunes. For the last twenty years I have been "stealing" those tunes from older fiddlers in the Iza Valley - mainly from the various branches of the musician Gypsy Covaci family, especially Gheorghe Ioannei in Ieud, and his brother Nicolae in Dragomiresti. Basically, I wanted to see who was still alive. Guys who learned to play the fiddle when there were still Jews around rural Romania to learn from are getting thin on the ground. 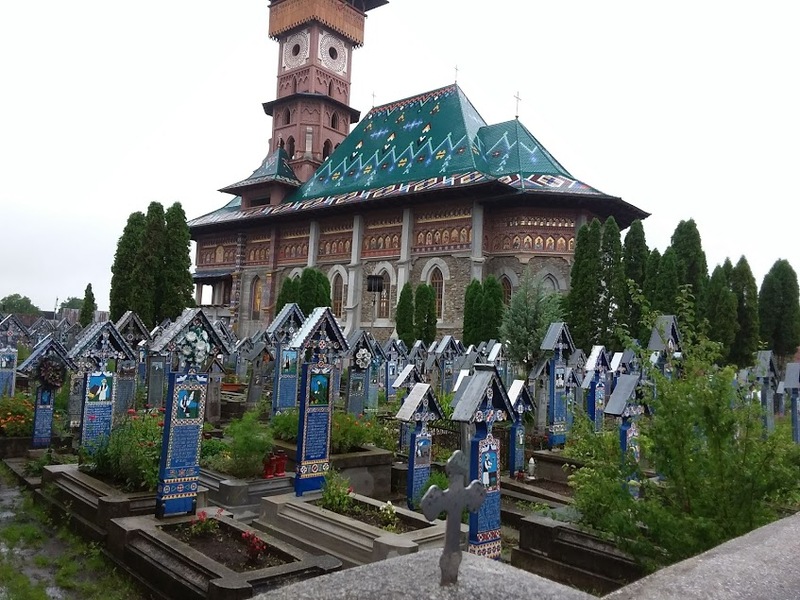 On this trip, we arrived in Dragomiresti to find that Nicolae Covaci had passed away last December. Nicolae was a wonderful, gentle soul, a great fiddler, and someone who dearly loved lying about everything - his age, his travels, his kinfolk, just about anything he could think of. Needless to say, he was not the world's best source of ethnographic data. 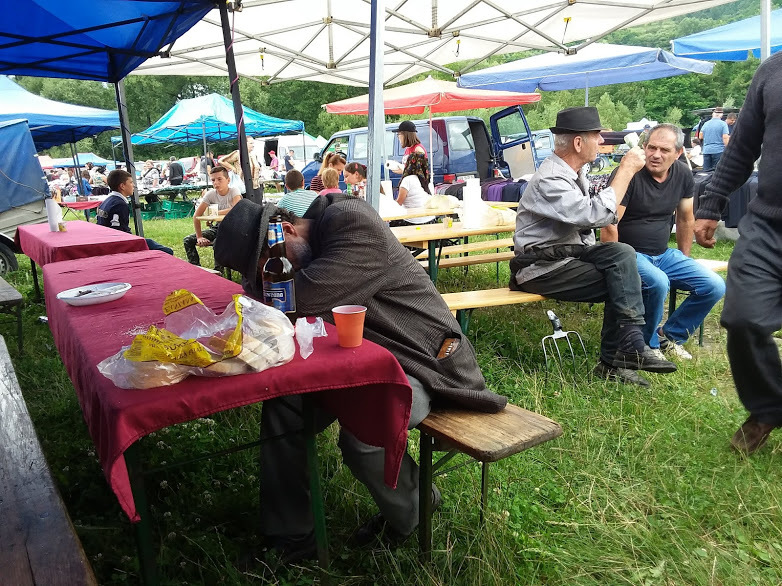 Lying is a cherished personal quirk among Maramures fiddlers. At times Nicolae would give his age as 74, or 82, or 92, so lets just say he was old. One time we visited and Nicolae told us he had just returned from doing two years of contract farm work, picking apples in Israel. I was fuming... Who the hell would hire an 89 year old Romanian peasant to do farmwork in the Negev desert? Later Ioan Pop told me that Nicolae was lying. He had been at home in Dragomiresti the whole time. And he wasn't 89. Nicolae is gone now but his half brother Viktor is alive and kicking and living down the street, so we spent the afternoon with him enjoying tunes at the village bar. Viktor knows a lot of the older style tunes, but without Nicolae as lead fiddler, those rare Yiddish melodies don't come to mind readily. Viktor is about 72, but he plays like his older brothers did - the rock steady rhythm and simple lines of the older, less ornamented Romanian mountain style of Maramures. Think of it as American old time Appalachian fiddle versus bluegrass fiddle. Don't miss the food court at the Dragomiresti Plaza! Monday is also market day in Dragomiresti. Think of it as going to the shopping mall, except in a field and with lots of cows and pigs squealing in boxes ánd people wearing furry vests and only one Asian girl in the entire mall - Fumie. As usual, horse wagons pack the parking lot, and tents set up as temporary bars selling home brewed plum brandy. The really big market is on a Thursday once a month in Bogdan Voda, but the Dragomiresti market had all you could wish for: farm tools, skirts in Maramures style, sheep, and the traditional leather opinci, the medieval moccasin worn by Romanian peasants of old, and still used up in these mountains. 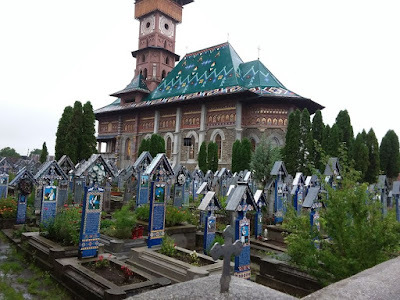 Maramures was once of the last places where the local peasant and Gypsy fiddlers maintained a knowledge of Jewish instrumental music after the Second World War. Those fiddlers were my link to the music of the past. There are still a lot of fiddlers in Maramures, but the old style tunes and the old Jewish repertoire has just about hit the end of the road. Maramures folk tradition maintained the Jewish melodies long after the Jews themselves were gone - I mean it is 2018... Maramures used to be home to thousands of Jews - peasant Jews who actually worked the land - but 75 years have passed since the Holocaust up here, and cultures eventually do fade away. 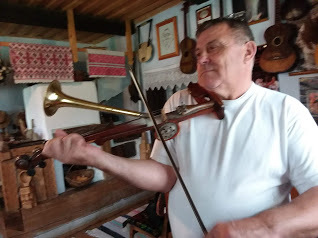 Moroseni people now play electric fiddles, compose tunes based on a newer style, everybody has a family member working in France or Italy.... we are nearing, and maybe already at, the end of the road for any continuity of the klezmer tradition in the Carpathians. In Maramures all fiddle matters lead to Ioan Pop, the leader of the Iza group and one of the most sought after wedding performers in the region. Ioan is a leading traditionalist - he lives as a peasant farmer during the week and plays weddings on the weekend. (He has wedding gigs every single day of the week this August.) We caught him at home in Hoteni after a 23 hour gig, but he was still up for some tunes. I asked Ioan who was left playing the old style Maramures fiddle? "You and me" he said. Ioan Pop at home with "vioara cu goarne"
When Ioan pulled out his own home made "vioara cu goarne" Mitia immediately fell in love with it. And when Mitia wants something, he WANTS something. The vioara cu goarne (violin with horn) is played in the area of Bihor - not exactly near to Maramures - and although I knew two of the best makers of the instrument, Dorel Kordoban from Lazuri and Mircea Rostos from Bratca, both have passed away. You cant just walk into a store and buy one of these monstrosities. You have to know someone. . But I found a connection to a maker near Oradea, and we left the next day to find him. All I knew was a name - Marius Mihut - and a village, Cihei. Luckily, Cihei is just outside of Oradea. We drove to Cihei and I simply asked anybody I met on the street where Domnul Mihut lived. Everybody knew him. 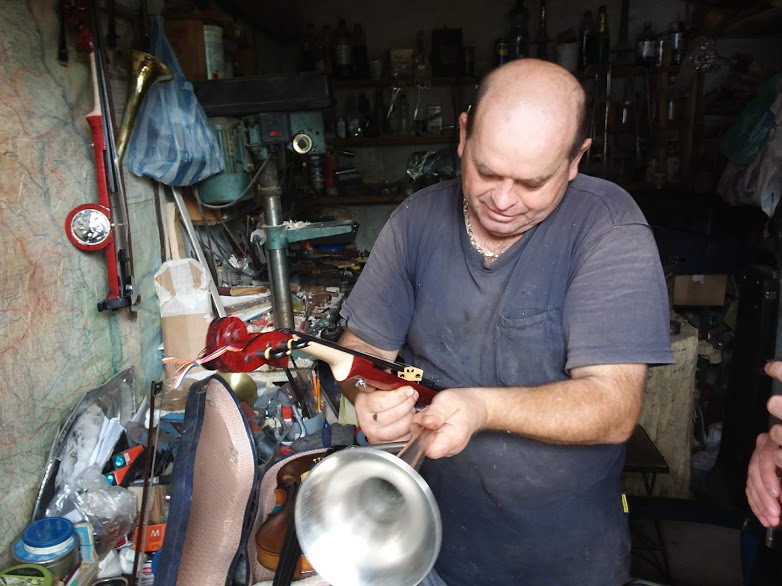 Marius is one of the last makers of vioara cu goarne - there are a few more, but it is getting increasingly hard to find the materials to make the fiddle. The resonators are home made - the frame being from auto parts and the resonator disc is made from various sheet metal. Dorel used mica for some of his and Coca Cola cans for most of the others, while Mircea Rostas used beer cans but then decided that metal discs cut from cans of energy drinks such as Red Bull was, naturally, more energetic. Marius used special alloy sheet metals and actually tunes his resonators. The resonator attaches to the foot of the bridge via a mechanism cannibalized from the tone arm of an old gramophone record player - you know, the wind up kind that plays 78 RPM records? Sourcing old 78 record players is the hardest part of maintaining the vioara making tradition. 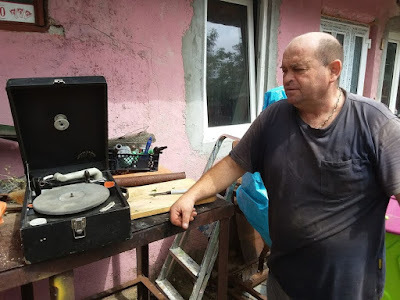 Marius makes his deluxe models using old Czech Supraphone gramophone record players that he orders on ebay. The difference is mainly in the richer sound and louder volume of the Supraphone resonator fiddles. All of these fiddles are loud - but the Supraphone resonator really makes a difference. Marius' Supraphone fiddles are pricier than his simple fiddles, but local fiddlers, especially the ones who play professionally at weddings, prefer these. Like many metal resonator instruments, its a mystery only the player can relate to. I play old fashioned blues guitar on a Style O resonator guitar made by the Johnson company (marketed today under the Recording King trademark) and if you compare it to a new American made National Guitar style O... you'll want the National.... if you have the significantly extra cash, which I do not. As it is, I get a resonator sound only slightly less loud than the national. There's a busker in Belfast who is very well know because he plays a horn violin.